I am on my way to Japan again this year. It will be hot and humid (today 33° Celsius and 70% humidity) but apart from the “ten” conditions it will be good to walk on the Japanese “chi” again and to meet my “jin” buyu. As I did last time when I created this blog I will do my best as to explain the various concepts exposed by Sôke in his classes. Even though I do not speak Japanese, my 20 years of travelling there help me to understand, if not the words, at least the concepts of sensei’s budô. I will be back right before the Jupi Summer Camp where I will give the “latest news” and feelings from Japan to those of you attending. If you are still wondering if you should go or not to Japan I would say that if you really want to grasp the gokui (essence) of budô*you have to go there once a year (minimum). 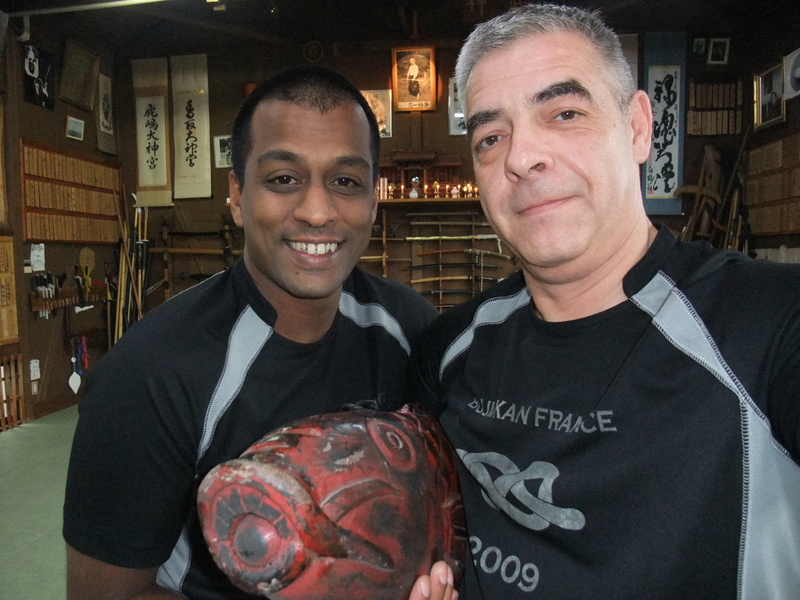 I am lucky to have organized my life to be able to go there three times a year because I decided long ago that it was my priority to learn directly from Sôke and the other shihan. Japan is a different culture, the level of budô displayed in the classes is amazing, and sensei’s philosophy of life is worth listening to and sticking to. My new entry in this blog will be from Tokyo. *this is the title of the next book by Hatsumi sensei (published by Kodansha for dkms hopefully).